The world of fundraising in can be very difficult during these economic times, but catering your fundraising event properly allows your guests to enjoy a festive atmosphere without all the drama. Portland Catering Company brings your Portland Fundraiser to the next level, in spite of the fact that fundraising happens year-round. Whether your Portland fundraiser is a golf tournament, an elegant, black-tie dinner, or anything in between, Portland Catering Company brings a wealth of knowledge and experience designed to make your fundraiser an event to remember – and an event your guests will look forward to next year! 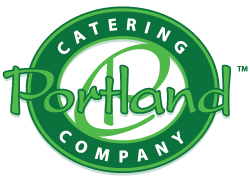 One feature that helps the event rise above the others is outstanding catering from Portland Catering Company. Your Award Ceremony can take place day or night; and Portland Catering Company can accommodate just about any type of event. Portland Catering Company will attend to the catering details so that every participant will feel honored to be there. Portland Catering Company helps create successful fundraisers for small, medium, and large events all over the Portland Metro area. Customized menus designed to honor specific guests at your Fundraiser. Gourmet, event-themed hors d’oeuvres, crafted by our chefs for your event. Table settings and centerpieces designed to honor your Fundraiser honorees. Talented, experienced, friendly and reliable servers who will make your guests feel special and appreciated. Top-Shelf spirits, California wines, and international beers. Awards, including framing and help with customized awards. Childcare & children’s entertainment for those guests who must bring the kids. Anything else we can think of to make sure your award ceremony is the event of the season.